In 2010, Hennes & Mauritz (Amsterdam) engaged EnergyGuard to perform a rejuvenation project on two (2) roof top units. The units treated were older units (13 yrs) and in poor condition. As a result of this project’s coating treatment, the energy consumption decreased by 12% while the capacity increased by 13.4% (measurements were taken by a third party). H & M concluded that EnergyGuard rejuvenation extended the life cycle for all units treated. Costs of rejuvenation were less than 20% of what it would have cost to install new HVAC unit systems. 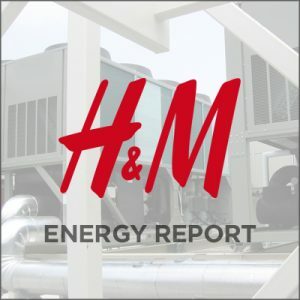 H&M recognized the rejuvenation project as a cost conscious and sustainable way of ensuring older units have longer and more efficient life cycles. The objective for this study was to compare the energy and capacity effect, after rejuvenating the current units. The costs of maintenance also should be reduced by having this treatment.The objective for this study was to compare the energy and capacity effect, after rejuvenating the current units. The costs of maintenance also should be reduced by having this treatment. For more Information, contact us for the case study: Hennes & Mauritz (H & M).